The first bi-annual Laurie Frink Career Grant Awardee! Cornelia Street Cafe, 29 Cornelia St, New York, NY 10014 (212) 989-9319. The Westerlies: Riley Mulherkar – trumpet, Zubin Hensler -trumpet, Andy Clausen -trombone, Willem de Koch -trombone. – Riley Mulherkar is the first recipient of the Laurie Frink Career Grant. Now entering his fifth year in an Accelerated Bachelors, Masters program in Jazz Studies at The Juilliard School, Mulherkar was awarded the Knowles Prize for Jazz and the Peter Mennin Prize for outstanding achievement and leadership in music in May of 2014. 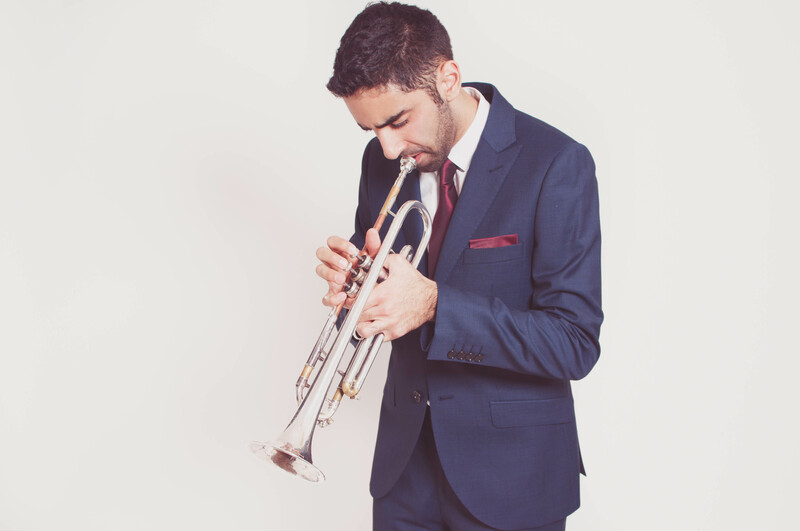 Born and raised in Seattle, Mulherkar received the Ella Fitzgerald Outstanding Soloist Award at Jazz at Lincoln Center’s Essentially Ellington Competition in 2010 and was named a “rising jazz artist” by Wynton Marsalis in JET Magazine the following year. 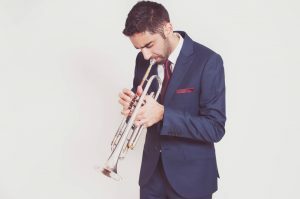 He has performed at the Umbria Jazz Festival, Jazz à Vienne, and Carnegie Hall, and has shared the stage with Marsalis, Leonard Slatkin, and Paquito D’Rivera, among others. Mulherkar is a founding member of The Westerlies, a new music brass quartet that has premiered over 40 original works since its inception in 2011, and was awarded Earshot Jazz’s “Northwest Alternative Jazz Group of 2013.” Mulherkar is actively engaged in educational outreach. He teaches at Harlem School of the Arts as an Arts Enrichment Fellow at Juilliard, and founded the music program at stART Osceola, a summer arts intensive in Florida where he has taught the past four years. He has also facilitated numerous master classes in Brazil, Mexico, and across the United States.